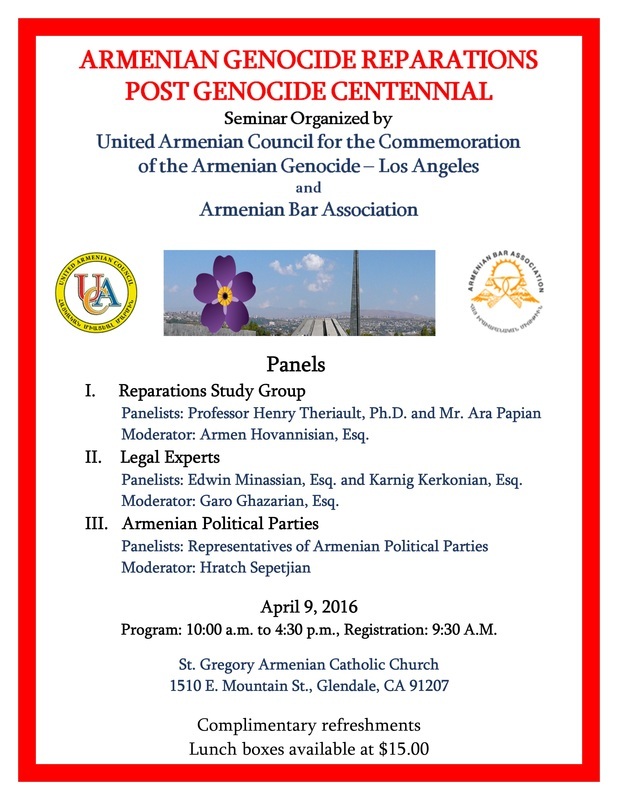 Panelists: Edwin Minassian, Esq. and Karnig Kerkonian, Esq. 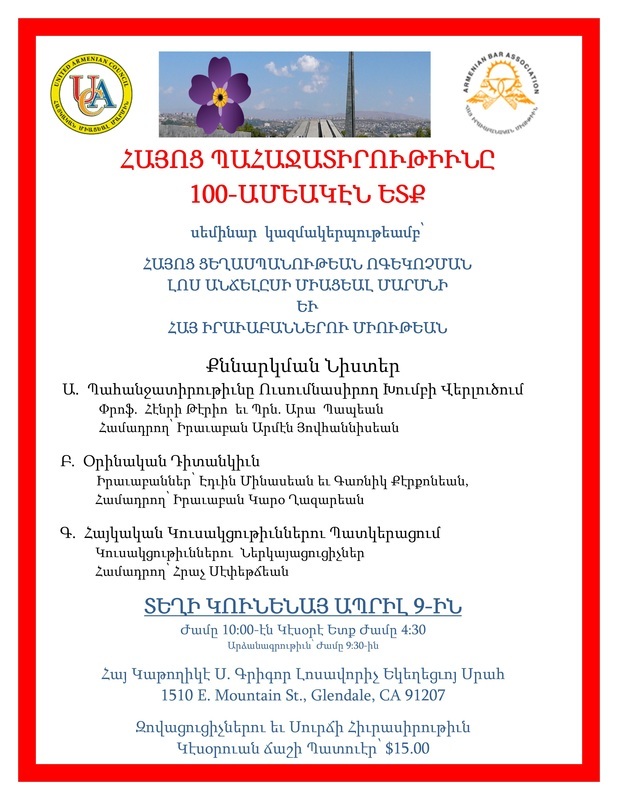 Program: 10:00 a.m. to 4:30 p.m., Registration: 9:30 A.M.